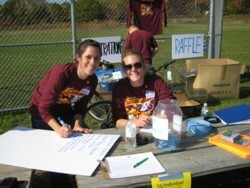 The success of many of our trail programs depends on the volunteer efforts of the members of our community. If you're looking for a way to make a difference, meet new people or expand a hobby, there are many different ways you can participate to match your skills or areas of interest. 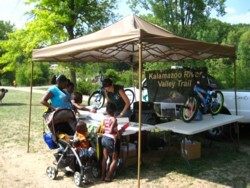 Assist in promoting and representing the KRVT at various community events, as well as on the trail itself. Answer questions about the trail, future projects and more. Sign in program participants and/or lead/co-lead weekly walking or biking programs. Assist in implementing special events - set-up, distributing trail information, assist with registration, pass out water, etc. 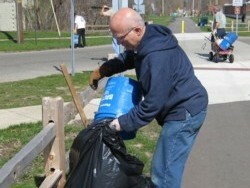 Helping with trail clean up days to remove litter, debris or invasive plants. Survey trail users to help us learn valuable information on how and why the trail is used, as well as what type of economic impact the trail is creating.